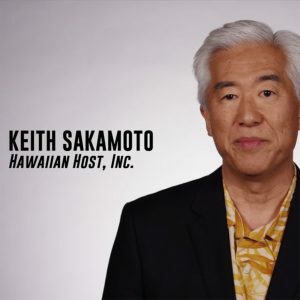 WASHINGTON, D.C. (April 4, 2018) – In a new video released today, Hawaiian Host Inc. CEO, Keith Sakamoto, joins the chorus of voices calling for reform of the U.S. sugar program. With manufacturing facilities in both Los Angeles and Honolulu, the manufacturer of popular brand-name confections explains why the outdated U.S. sugar program is harming his business and employees. Hawaiian Host Inc. isn’t alone in calling on Congress to reform the U.S. sugar program. To hear what others are saying, watch the Alliance for Fair Sugar Policy’s new video series.